When he was still with the Cebu City Council, I had met Hilario “Junjun” Davide III several times. During the Cebu Sports Awards when POC Chairman Monico Puentevella, now Bacolod City mayor, graced our awards night at the Casino Espanol as guest speaker, it was Junjun Davide who attended the affair representing the Cebu City government. When I was president of the Rotary Club of Cebu West — just a few months after he narrowly lost to Gwen Garcia — I invited Mr. Davide as speaker. Our Rotarians had a terrific night listening to the eloquent son of our former Supreme Court Chief Justice — also because Junjun happened to be a high school (Sacred Heart School) classmate of four other Rotarians: Bobby Yap, Alvin Tan, Benjie Cimafranca and Maxwell Ahyong. These moments happened a few years back. A few weeks ago, I happened to be in close contact again with Governor Davide. This time, when the organizers of the Cobra Ironman 70.3 triathlon race — Sunrise Events, Inc. — needed to coordinate with the new provincial leaders. July 1st, 2013; Monday morning early this week, on the historic first day of his governorship — and inside the improvised room in the Capitol that temporarily serves as his headquarters — I had the opportunity to meet with the new governor again. We chatted. He read a message that we videotaped and was aired the following day when the Cobra Ironman 70.3 was launched in Shangri-La Makati. We met again last Thursday morning when he joined the organizational meeting between Sunrise Events (led by Princess Galura) and the province. Gov. Junjun may not be a triathlete or a runner like Mayor Mike Rama — but he has vowed to fully support the August 4 event that is the Ironman. Atty. Mark Tolentino, the Provincial Administrator — a close friend since college and a fellow member of the Brotherhood of Christian Businessmen and Professionals (BCBP) — is the lead person in behalf of the Capitol. He’s helping organize this huge sports event that will have 2,150 participants (including two world champs, Pete Jacobs and Chris McCormack, going head-to-head). It has been challenging. 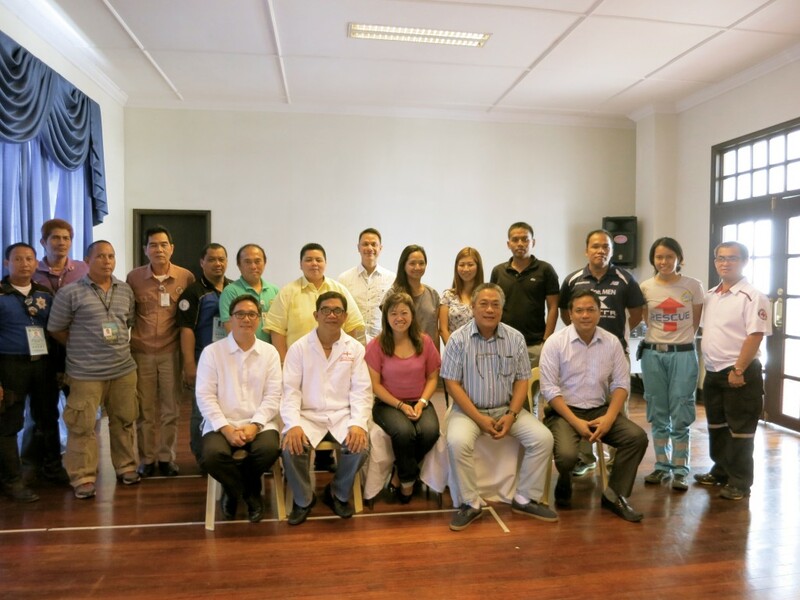 The new Provincial leaders began their term just last July 1 and the IM70.3 is on August 4. That’s a little over one month. But thanks to Atty. Mark Tolentino (a runner who finished the 42K at the Cebu Marathon) and Gov. Junjun (plus the so many volunteers, including Dr. Peter Mancao, who has accepted the challenge to head the Medical team) this will be another proud moment for Cebu tourism and sports.